Pink Shirt Day is this Wednesday, February 27th! Take a stand + show your support. 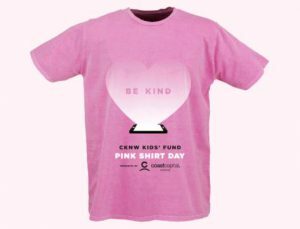 All Take Five Café staff will be wearing the official Pink Shirt Day shirts as well as selling Pink Cupcakes with proceeds to the CKNW Kids’ Fund in support of Pink Shirt Day. But we encourage all of you to ‘think pink’. 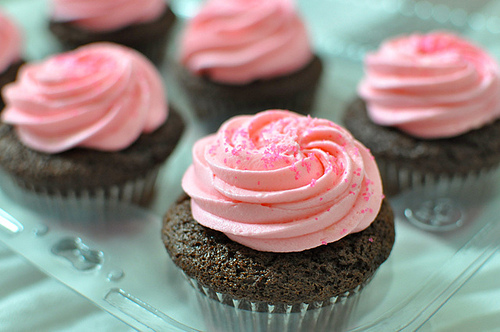 Until the end of February, Pink Cupcakes are available at all of our 9 Take Five Café locations. You can drop in + buy one for a friend or place a large order for business meetings, classroom parties or special events by calling our Catering Department: 604.697.9050. 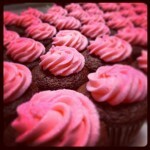 Having Pink Cupcakes on hand this Wednesday is a great way to enjoy a sweet treat for a great cause! So what do you say? Will you think pink this week? For the SIXTH consecutive year, Take Five Café is pleased to announce we’ll be supporting the amazing Pink Shirt Day campaign once again. This is an incredible campaign that was started by two Nova Scotia teens who distributed pink shirts at their school to take a stand against bullies who were picking on a young boy who wore a pink shirt. The concept has gained traction and has become synonymous to standing up against all forms of bullying. This year, for the entire month of February, Pink Cupcakes will be on sale at all Take Five Café locations with all proceeds donated to the CKNW Orphan’s Fund in support of Pink Shirt Day and anti-bullying programs across British Columbia. Enjoy a decadent chocolate cupcake with classic pink cream cheese frosting, made fresh daily at our East Vancouver central kitchen. Photo credit goes with thanks to Miss 604. And take a stand and take part. Commit to wearing pink on February 25th 2015. 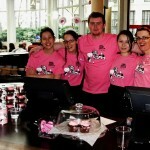 All our Take Five Café staff will be wearing the official Pink Shirt Day shirt. Let’s all commit to a Bully Free Life. Today our Take Five Cafe team is wearing the official Pink Shirt Day t-shirts and making some noise against bullying. 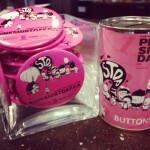 Stop by any of our locations and pick up a pink pin or a pink cupcake. All proceeds from the sale of Pink Cupcakes are donated to the CKNW Orphans’ Fund in support of anti-bullying initiatives around British Columbia. 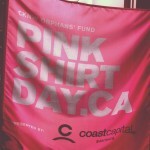 Join the movement and follow along as our day unfolds with our Pink Shirt Day Facebook Album. Take Five Café is proud to support Pink Shirt Day for the fourth consecutive year. Today, all our baristas and staff will be wearing the official Pink Shirt Day t-shirt. All sales from Pink Cupcakes are donated to the CKNW Orphans’ Fund. Check out how our day unfolds and the great ways we’re supporting Pink Shirt Day in our Facebook Album Pink Shirt Day 2013. For the fourth consecutive year, Take Five Café is pleased to announce we’ll be supporting the amazing Pink Shirt Day campaign once again. We had Pink Cupcakes in all 9 of our café locations and delivered cupcakes through our Catering Department on Pink Shirt Day throughout the entire Lower Mainland – from Vancouver to Surrey, White Rock to Langley.